Just love this app when ever I’m traveling I just turn it on and it tells me where and what is around me. Stopped working lately for some reason. Only shows "Nothing Available" (or something like that) in every category I check. I like and use the app when traveling. I have been 95% satisfied with the product. I have on occasion run into a restraunt that shows in the app but it s no longer in operation. I use it often to find good restaurants when I’m out of town. Always reliable. I love this app. It has been accurate and useful coast to coast in my travels. This app sends me notifications to my phone of the weather every AM and love that feature, can find new restaurants and new things to do to keep busy, definitely use the sh#t out of this app! I use it a lot and find it very very helpful. Among the numerous apps on my phone this one of the most useful. I like this app when I’m in an area I’m not too familiar with, but want to know where the closest Target is, or Planet Fitness, etc. #totally helpful! 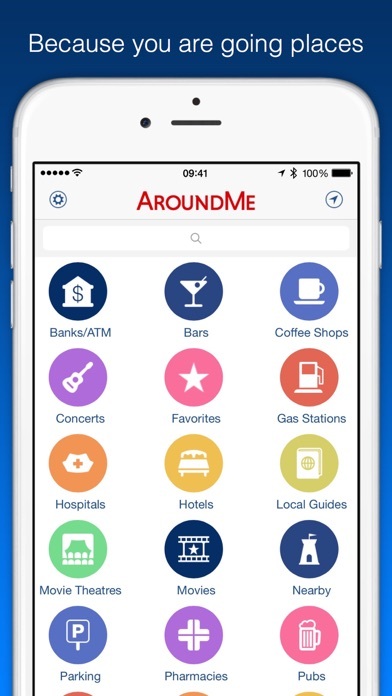 This app is great to find a multitude of things in the area. Use it all the time. I have used this app for years. 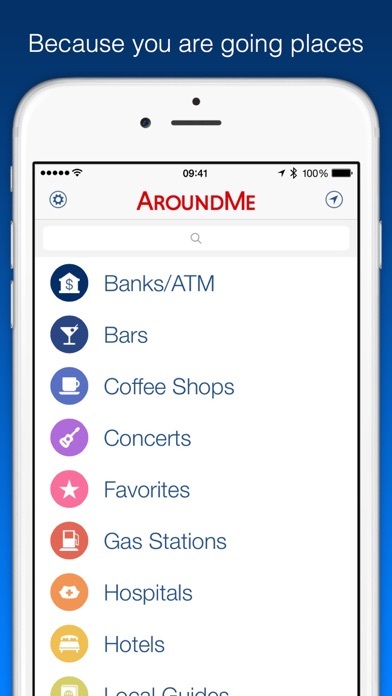 It’s been a great help finding coffee shops, drug stores, gasoline and more. I don’t recall having any problems other than once driving to a coffee shop that was no longer there. I looked for what it would show me for gas stations, and all I see is Arco and a few other cheap gas companies. For one intersection near me, where there are three different stations, it only shows Arco. Used the app for a while now, traveling throughput the West. Found it very very helpful coming into new communities. Restaurants, gas stations, even pharmacies & markets. It’s become essential part of my “on the road” kit. I miss an app that shows me the items you provide. I used this for years and was pleased with it. I deleted it a while back but couldn’t remember why. Just read a bunch of reviews on your site and remembered why I dropped it - You don’t need people’s contact info in order to provide your customers with your service. You want it for other purposes. Shame on you ! I used to like this app until the ads for conceal weapons apps showed up. Everything is seriously out of date. It shows four banks at the same address, five restaurants, etc., gas stations that are no longer there. This was great in the beginning but someone seriously needs to update the data. It’s next to useless now. I’ve used this app since my iPhone 3G and it used to be really helpful when traveling. Now that ads jump out and assault you it’s not worth the aggravation. The quickest way to get me to delete an app is for it to interrupt me when I’m trying to use it. My review started at 3 stars but dwindled down to 1 after I saw all of the 5 star ratings from fake accounts. Despicable. Fix your app, don’t manipulate the ratings. This app was great when you’re in a pinch. However, on more than one occasion, it has omitted relevant items from lists. When I was in California I searched for food. “In and Out burger” wasn’t listed at all - what?Not a big deal in itself, just makes me wonder what else I am missing out on. Lately, I have been getting daily weather updates for California. I don’t live there and I have not given permission for this setting. I have limited the app’s location services to when I’m using the app. Obviously I don’t have the app running constantly in the background. It doesn’t seem to be respecting my settings. I’m pretty sure this is a big no no for iOS apps. The battery life on these things is bad enough, I don’t need your app overriding my settings and unnecessarily using resources. I’m done. Bye bye. Must have been updated over a decade ago! The idea of Around Me is wonderful but the execution stinks and each year it gets worse. All too often the app lists places that have been out of business for years and misses newer establishments—making the app quite useless or time wasting. It can be useful but I would phone businesses to be certain they are actually there. Will not work without advertising even though I bought it. Shows an option to restore purchase of ad-free version I originally purchased but it doesn’t work. The ads never leave. All I wanted it for was to find places nearby, nothing more. So....#1. you fail to deliver the app I bought as ad free. #2. You added features I don’t want but must accept in order to use it the way I need. #3. You ripped me off and now I have to purchase something else. This is a sure fire method to loosing market share. It was good app why did you wreck it? Use it quite frequently. Very convenient. Thank you. Use this app all the time. Has never let me down!! All I do’s in this App you can find in Google Maps too. Don’t waste your traffic or Time. Great for last minute decisions. I use this all the time when I travel. This app helps me on road trips if I have to go to the bathroom or I am hungry I can just look and it is usually on my way to the stop. The cheapest fuel in our area are the RaceTracs. Guess what this app chooses not to show, yes you got it. There are no RaceTracs. I will not condone censorship. Good luck to all the rest of you. I know it’s petty to leave a one star rating because they misspelled the name of restaurants, but the straw that broke the camel’s back was seeing an Asian eatery listed as “Asain.” Come on now. You have to willfully ignore something like that before you post it. I’m going to need for this app to do better. Blue dot shows your location but even though you select searching "current location" the results yield area thousands of miles away. Despite selecting kilometres, app search results shows miles. Uninstalled. We moved to Florida sept 2017 from Ohio. So not knowing where stuff is or what kind of store, restaurant around in areas, this is perfect! Has not let me down. Use it all the time! Shortens your search time by 70%!! This app, used to be extremely helpful and accurate. Not anymore. 9/10 I cannot find where I am looking for even though it’s within a block of where I am, and have to resort to google. What’s the point of even having it! It will not update on my phone without my husband’s password. His phone has nothing to go with mine and we do not share. This needs to be fixed because it was on my phone first. I travel from time to time for work, and going to new places with my wife. And this app saves all the Googling! 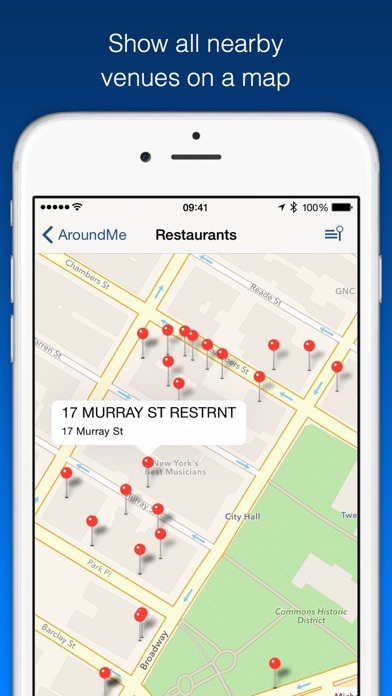 Name of app says it all, ever want to know whats around you...just click the app, convenient and easy to use. Nor sure what else i can say, even though I don’t use it often, it’s nice to have when i do need it! Great app when you are traveling to unknown town. I was using the app to try to find some new restaurants in my area. What I found was a bunch of listings for restaurants that have been out of business for over 2 years. Then I tried a few other categories and found the same issue. For example, a bank was listed at a location that has been closed for almost 3 years. It is now a realtor. Office Depot was listed under supermarkets. The incorrect information is never ending. Bottom line, if I’m in an area I don’t know, this app is pretty much useless unless I call every location to see if they’re still in business. Need to find a new app. I’m a music buff, and I like the Concerts feature. The idea of it, anyway. Unfortunately, listings are made by distance, not date. You’d be lucky to find an event happening today in the app, but you can find how far a certain event is in a month or two when you’re bored as hell tonight. 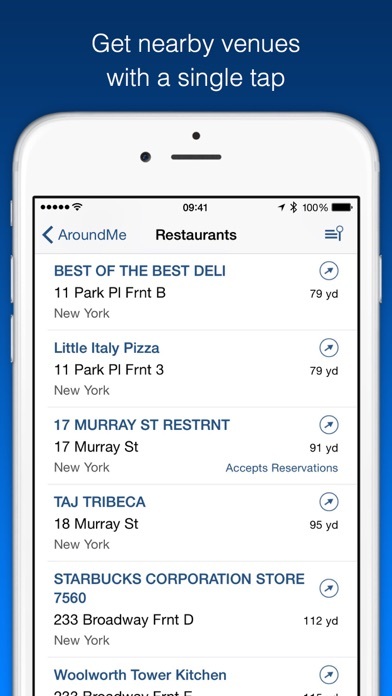 On a recent trip to NYC I downloaded the App believing it would help me select restaurants, bars or a hotel around me. Not knowing what truly was around I trusted the App. Once home I used the App in an area full of restaurants. To be specific, there are 13 restaurants in this one strip mall known for high end restaurants. The App show ONLY 2. Not acceptable. Do NOT use the App. I used to travel all the time for my job and used this app daily. But now, I'm finding places in the app that have been out of business for years. So, after finding something using the app I then have to check another resource to see of the place still exists. Please update your information and make this app as useful as it used to be. I have never ever understood my companies remove stuff from software or hardware....if you are inproving something...go ahead and keeo adding features...but taking away? that is many times not an upgrade but a downgrade. I used to love just to open the map with all the little red pins and see for myself what is AROUND ME and nit have to pick a specific catefory first....Sometimes Indin't know what I want and I just want to see a map of everything around me so I can choose. Use to be a cool app but now it never works. Please fix. Shows bank location in middle of 50 year old residential homes. Needs to be updated..Often! Otherwise super helpful! I used to have this app downloaded onto my phone. Now when I want to see what’s around me, I have to go to the App Store to open it. Too many steps and I don’t know why. Caused me to spill my drink! I’ve used this app on occasion now for a few years. I used again just the other day and something upsetting occurred. I got back to my office after grabbing lunch to eat at my desk. Suddenly a loud and a blaring voice came out of my phone saying something like congratulations I’ve been selected for something. It was startling as the office was quite with lots of people on important phone calls. I immediately jumped to turn my phone down and bumped my drink which spilled on my keyboard, laptop, iPad and iPhone. Very annoying to say the least!!! I’ve turned of notifications on this thing and may uninstall and never use again especially if it does something like this again. 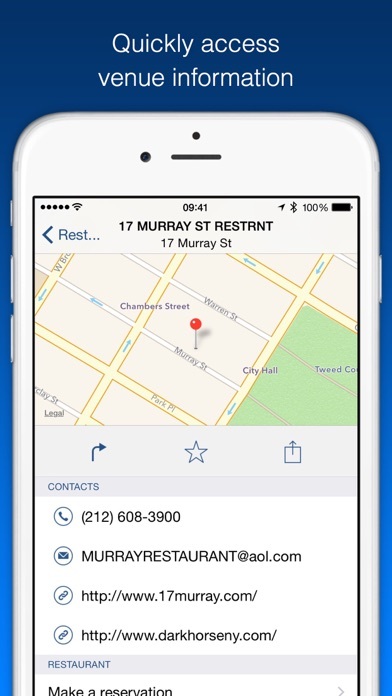 This is my favorite app for finding places in new towns! It gives me all the information I need in an easy to use interface. Keep up the good work!!!!!! My app is not working. Never had a problem until 2 months ago. It’s updated and still will work once sometimes then stop. It’s a great App but not useful lately. Basic info of places around your present location with map to show where the place is. Interesting. The app was good at one time. Now it doesn’t work at all. I have to find a new one. Both Google Maps and Apple Maps have built in search features that do exactly what this app does, minus the annoying ads. Anything I touch does not open up on my iPad. It does nothing...like I didn’t even touch it. Frustrating. Going to another app. The new logo looks great and this app is a must need. This app literally never tells me anything but the most generic things around. Fore example like Pizza Hut, McDonald’s, Denny’s. Can you please give me something else besides garbage food recommendations???? Waste of time if you are trying to explore somewhere new and would like to see what’s around. You’re better off just googling it. Love this app but it is desperately in need of an update. Many of my local restaurants still on the app have been closed for several years and new ones have not been added. Please fix or I will have to use a different app. Thx.